We are dedicated to building elegant, long lasting and cost effective eco-villages and communities that utilize eco-sustainable systems (such as solar power, permaculture, and water catchment systems), to significantly improve the lives of the people. 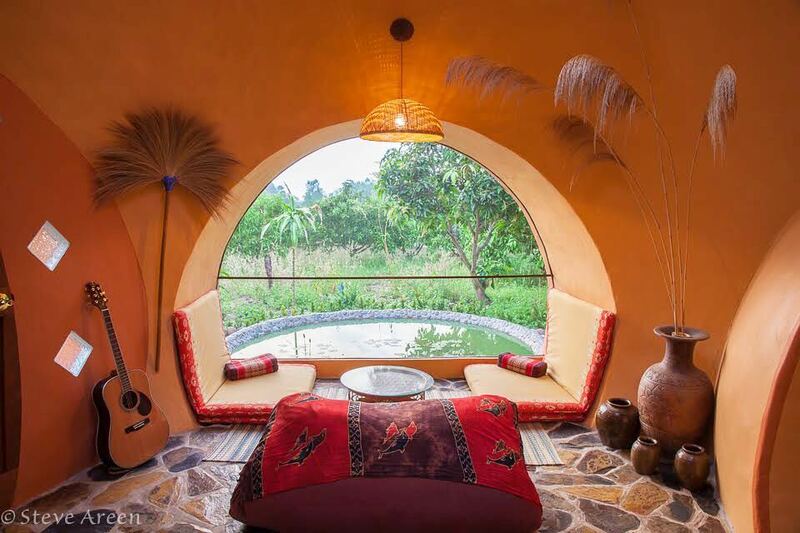 We are partnered with DomeGaia to assist in the development of the eco-sustainable dome homes. While working with various other experts to develop the energy, permaculture and water systems of these communities. The guiding principle is to bring about the utmost potential of the people and the land while sustaining all forms of life which reside on the premises (humans, plants, and animals, without exception). While our vision is to help build a world where people no longer suffer and struggle to survive, instead, they flourish and THRIVE. Check out partner DomeGaia’s Hawaii building workshop video (below). This is the process that we use to build our communities. Manifest Your Greatness is a healing program that aims to empower women who have experienced domestic abuse, obtain a greater sense of self-love and self-sufficiency. Domestic Abuse (physical, emotional, and financial) affects millions of women around the world. The purpose of this program is to help those who have had such experiences, heal from the trauma and begin to rebuild and strengthen their relationship with themselves. Each week we fulfill our mission by serving a community of women who attend our workshops at the Dept. of Child and Family Services, in Hilo, Hawaii. We provide quality, compassionate, and nonjudgmental services in a manner that fosters self- respect and independence in women experiencing intimate partner violence. The mission of the Cultural Exchange Program is to connect and unite the African Diaspora with the people of the African continent, through educating and exchanging knowledge on culture, music, arts, history, food and religious beliefs. The purpose of this program is to facilitate a healthy mutual exchange of knowledge, understanding and education about the truth of the experiences between various cultures . The Cultural Exchange is a three (3) semester program that allows students learn from one another. After students each semester they then will be qualified to teach what they have learned to the next set of students entering into the program. WHERE WOULD THE CULTURAL EXCHANGE PROGRAM TAKE PLACE? How To Become A Cultural Exchange Student? You can become a student by signing up to volunteer for our organization, make sure to list all of your skills, talents , spiritual principles and goals. We will then contact you for an interview and send you more information about our program. RAISE YOUR VIBRATION NOW E-BOOK! Learn how to live a life of peace, health, and manifestation by RAISING YOUR VIBRATION NOW! This e-book will be available for download immediately after purchase. 100% of proceeds from this books goes to WeAreOMG. I am honored that you have chosen to read this book. I wrote this book because of the love that I have for humanity. I love to see people operating at their highest selves. This book was written not only to help you, but to also assist people that are in need of water, food, clothing and shelter. ALL the proceeds from each book sold will go to programs and initiatives sponsored by WEAREOMG. JOIN THE ABUNDANCE OF PEOPLE WHO HAVE USED THIS BOOK TO RAISE THEIR VIBRATIONS AND CREATE POSITIVE CHANGE IN THEIR LIVES! Volunteer your time or service to assist us in helping us raise the vibration of our planet. Find a position that fits your passion and skills. Sign up with your email address to receive news and updates from WeAreOMG.